Cultural Precinct, Stanley Place, South Bank. The Asia Pacific Design Library is a 21st century library advocating for innovation, experimentation and play through design. We believe that no knowledge exists in isolation and that every idea, thought, or position has an origin, and often this origin exists in the ideas, thoughts and positions of others. Wright, Natalie, Davis, Rebekah M., & Bucolo, Sam(2013) Knowledge economy market development mapping study. Queensland University of Technology and Arts Queensland, Brisbane, QLD. Duell, Christian, Wright, Natalie, & Roxburgh, Joanna (2014) Developing ‘design minds’ for the 21st century through a public sector initiated online design education platform.Design and Technology Education : an International Journal, 19(1), pp. 62-74. 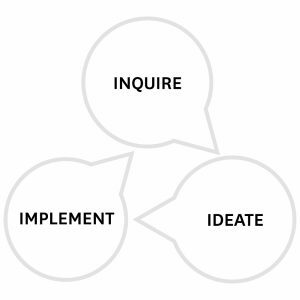 Wright, Natalie & Davis, Rebekah (2014) Educating the creative citizen : design education programs in the knowledge economy. Techne Series : Research in Sloyd Education and Craft Science A, 21(2), pp. 42-61. Wright, Natalie (2015) Design: Our future. Journal of Industrial Technology & Design Teachers’ Association of Queensland, 56(3), pp. 22-26. If your article demonstrates strength in a balance of these areas it will be accepted for inclusion and you will form part of the expanding knowledge bank of Design related knowledge. Content published on this website, including information, text, images, sounds and audio-visual material, will be licensed using a Creative Commons Attribution-Share Alike 4.0 International licence (https://creativecommons.org/licenses/by-sa/4.0/) and will be protected by copyright and, where applicable, moral and cultural rights.